Garlic, minced --- 6 ea. Ancho chile powder --- 2 Tbsp. Dried oregano leaves --- 1 Tbsp. Ground cinnamon --- 1/2 tsp. Orange juice --- 2 Tbsp. Unsalted butter --- 2 Tbsp. Agave syrup --- 1/2 Tbsp. Combine TABASCO® Chipotle Sauce with respective chicken marinade ingredients. Add chicken, toss well and place in a bowl covered with plastic wrap. Refrigerate. In a small saucepan, add glaze ingredients and reduce by half. Set aside. 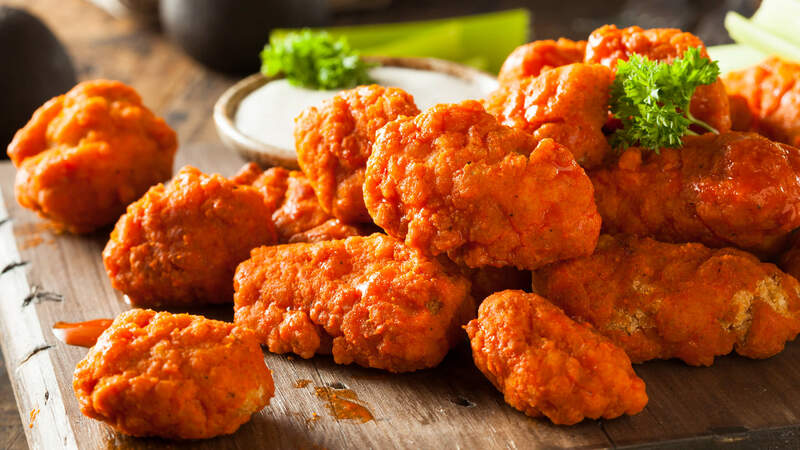 Deep fry marinated wings at 350ºF for 4–5 minutes or until the center reaches 165ºF. Toss in glaze and serve.